The Buffalo Bills are through their bye break and now are getting ready to take on the 2-3 Tampa Bay Bucs. The Bills are relatively healthy after the break with only tight end Charles Clay and linebacker Ramon Humber not practicing earlier in the week. According to the injury report, the Bucs only had one player not practice and that was defensive end Ryan Russell. Quarterback Jameis Winston was limited at practice, but I do expect that him to play this Sunday. Winston suffered a sprained shoulder last week and is officially questionable. What he really has is a sprained AC joint, which means it’s a slight shoulder separation. It will be painful for him to throw, but can play with it. It would shock me if he has an injection into the shoulder joint the morning of the game to help lessen the pain. Tampa Bay was supposed to challenge for the NFC South title this season but they have disappointed to date. Their opener was postponed because of Hurricane Irma, and then they easily beat Chicago at home 29-7. Since then, they have lost three of their last four games. Their win came against the New York Giants, while they lost to Arizona, Minnesota and New England. With Winston’s throwing shoulder hurting, this is a winnable game for the Bills. Especially because it’s being played at home. The Bills offensive line will be the healthiest it’s been all season now that Cordy Glenn is listed as a full practice participant. The Bills O-Line also the return of Seantrel Henderson, now that he has completed his NFL suspension. This gives the Bills plenty of options and depth going forward. The Bills also signed wide receiver Deonte Thompson, who was cut by the Chicago Bears late last week. Thompson is no better than a fourth wide receiver, but he is a dynamic kickoff returner and can also give the Bills a deep threat when he is in the game. Jordan Mathews should also be back after missing games because of a thumb injury. On paper, Tampa Bay has a strong defense. They play a 4-3 scheme similar to the Bills and they have quality players along the front line. 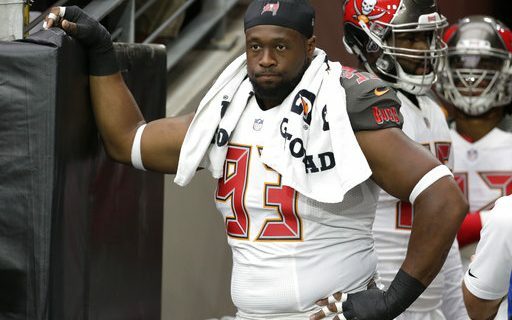 Defensive tackle Gerald McCoy is one of the best 3-techniques in the game, and is a combination of strong, athletic and explosive. At defensive end, the Bucs use a combination of three players: William Gholston, Robert Ayers and Noah Spence. Spence is their best edge pass rusher. Like Carolina had earlier in the year, the Tampa linebacker corps is not real big but they have great speed. That allows the Bucs to do a number of things with them. Their best linebacker, Lavonte David, has been hurt recently and may not be 100% for the game. At top speed, he is one of the better Will linebackers in football. Tampa Bay’s corners (Brent Grimes, Vernon Hargreaves) aren’t very big by today’s standards, but both are very capable zone and man cover guys with ball skills. Safety Christ Conte was a corner in college and also has excellent ball skills. Keith Tandy and recently acquired T.J. Ward share the other safety spot, and are solid players as well with Ward being the more physical of the two. The offense revolves around Winston. If the shoulder is giving him problems they could be in trouble. Winston has not played up to expectations so far this year as his accuracy has been off. But when he is hot, he can be difficult to deal with. He has an excellent wide receiver group with Mike Evans and Desean Jackson. Evans is the big, physical-type, while Jackson is the deep threat. The Bucs have two quality tight ends in Cameron Brate and O.J. Howard. Howard, who was the Bucs first round pick, has great talent and has started to come on. The Bucs running game is not what they had hoped for as they are averaging less than 100 yards a game on the ground. They don’t have a bell cow so to speak, and use Jacquizz Rodgers and Doug Martin in combination. Rodgers is a small, quick elusive type, while Martin is the better all-around player. The Tampa Bay offensive line is young but as talented as any line the Bills play this year. Still they have given up nine sacks in five games, and the Bills should be able to put pressure on Winston. As I said above, this is a winnable game. But the Bills have to play a strong game on both offense and defense. As Cincinnati showed, the Buffalo passing game can struggle if the opposing defense can keep Tyrod Taylor in the pocket. Look for Tampa to try and do the same. But having Matthews back will help. I look for a close game but I see the Bills coming out on top by three. 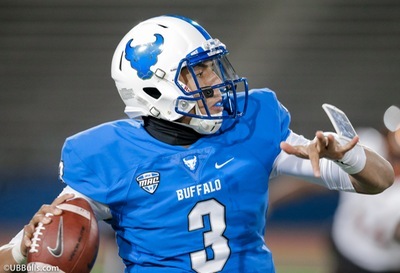 For more insights and analysis from Greg Gabriel, and his 30 years of NFL scouting experience, visit his author’s section at Buffalo Sports Page. Enjoyed the expert commentary.Liking the Bills to win this game. The next 5 games are all winnable and I look forward to seeing the Bills become contenders!